"Computation of Equilibria on Integer Programming Games" by Margarida Carvalho (Portugal). "Theoretical and Practical Contributions on Scatter Search, Variable Neighbourhood Search and Matheuristics for 0-1 Mixed Integer Programs" by Raca Todosijević (Serbia). "Spare Parts Planning and Control for Maintenance Operations" by Joachim Arts (The Netherlands). 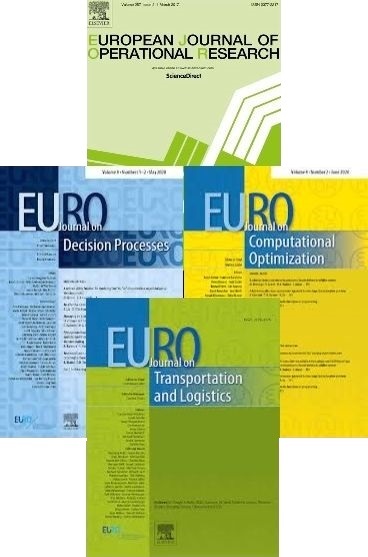 "Capacitated Network Design -- Multi-Commodity Flow Formulations, Cutting Planes, and Demand Uncertainty" by Christian Raack (Germany). "Mitigating network congestion: analytical models, optimization methods and their applications" by Carolina Osorio (Switzerland). "Application-oriented Mixed Integer Non-Linear Programming" by Claudia D'Ambrosio (Italy). "Spare parts Inventory Control under System Availability Constraints" by Bram Kranenburg (The Netherlands). "Combinatorial Analysis of 2D-NOESY spectra in Nuclear Resonance Spectroscopy of RNA Molecules" by Marta Szachniuk (Poland).